GOVERNMENT THROUGH the Ghana Education Service (GES) is introducing a new set of uniforms for students in public Junior High Schools nationwide. 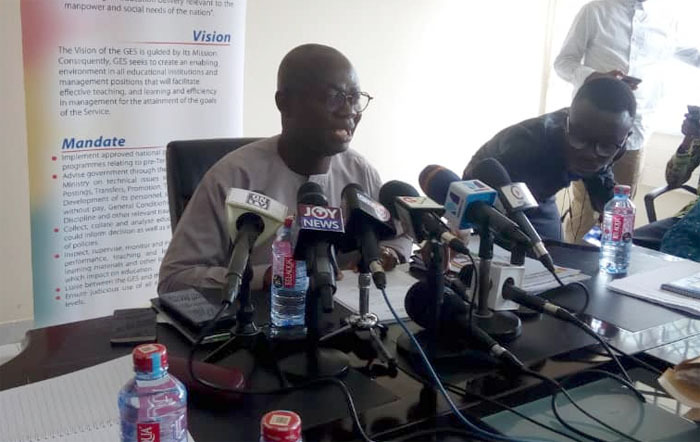 Director General of GES, Prof. Kwasi Opoku-Amankwa disclosed this to journalists on Thursday in Accra. The new uniforms for both girls and boys were showcased to the media. They come with four features including the Ghana Flag, a certificate, a graduation cap. According to Prof. Opoku-Amankwa, the move to introduce new uniforms is to make the students at JHS level to start seeing themselves as senior high school students. According to him, the rationale for placing a Ghanaian flag on the uniforms is to symbolize nationalism and promote a sense of belonging. The graduation cap, he said, symbolises intellectualism.